In the last year, stock markets have performed unrealistically well and at some point the situation will explode. In 2014, analysts were disappointed in the first quarter because earnings were not in line with market expectations. This means that if markets were to revert to a reasonable level with regards to earnings, there will be a stock market drop of between 30-35%. A severe crisis could be driven by growing Chinese shadow banking, a system which consists of loans mainly to government institutions whose performance is not well monitored and not open to competition. If this system collapses, it will negatively affect the global economy. The United States, as the world’s largest producer of gas, could cause an energy crisis. If the US begins exporting to the rest of the world, Russia might feel threatened, causing a geopolitical storm. The US would have control over energy prices and would exert influence over countries like the UK, India and Japan. There is a risk of a property bubble forming in countries like Brazil, China, Canada or Germany. Prices are going up because availability of credit is huge and buyers are pushing prices up without realizing that they do not correspond to fundamental values. Companies currently have too much debt and the new norm is to have a BBB rating. In the US there are only three companies left with an AAA rating: ExxonMobil, Microsoft and Johnson & Johnson. If ratings are an indicator of bankruptcy, there will be bankruptcies across the board. If interest rates increased by 2%, half of the corporate sector would be wiped out. Almost everywhere, except in parts of Europe and the US, there is increasing geopolitical tension, said Bris. Events like the current crisis in Crimea, could trigger a market crash, even if there is no war. Overall world poverty has increased and whenever the poor become poorer, we can expect a social conflict. The crusade against income inequality could also further hinder innovation and growth by reducing the benefits of innovation, threatening the economy. The surplus of cash that central banks and corporations are holding could end up damaging the economy. The ECB is lending money to financial institutions that put it back into the ECB, which is a vicious circle and today Google could afford to buy a majority stake in Ireland and Microsoft could buy more than 50% of Singapore, which is immoral. 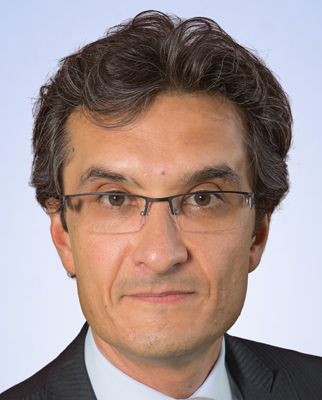 Arturo Bris is Professor of Finance at IMD and directs the IMD World Competitiveness Center. He was a keynote speaker at IMD’s Orchestrating Winning Performance program where he unveiled his predictions for the future.